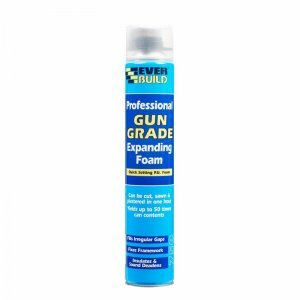 Everbuild Exact Gap Foam has been formulated to provide a more precise foam product that only expands by between 5-10% from the bead extruded on application. 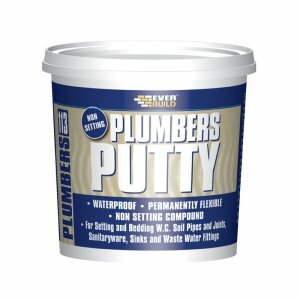 The controlled application significantly reduces the amount of cured excess foam that has to be cut back afterwards, the waste disposal of which can be difficult on some sites, and reduces the danger of wet foam falling onto the floor and surrounding substrates, and the damage and staining this can cause. 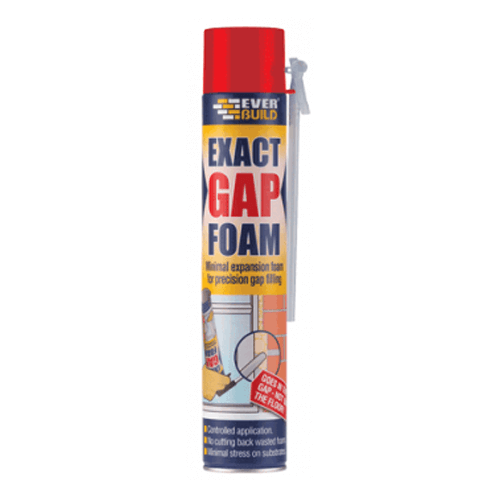 Exact Gap Foam is also the ideal product to use where it is important not to impact too much stress onto the item being installed. Gloves are included in the cap. 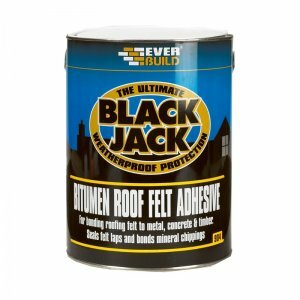 – Roof tile voids and draught points around the home. 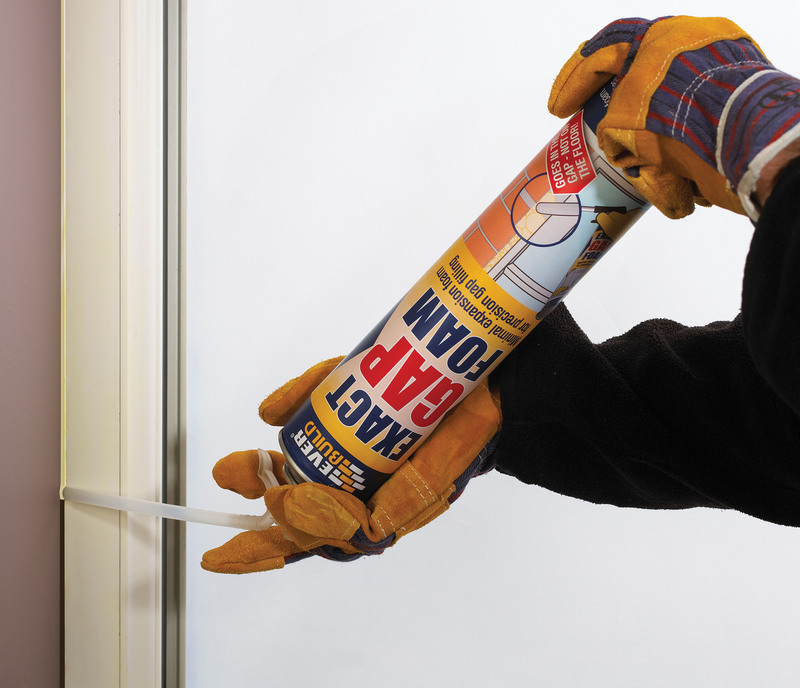 – Electrical wire chasing prior to plastering. 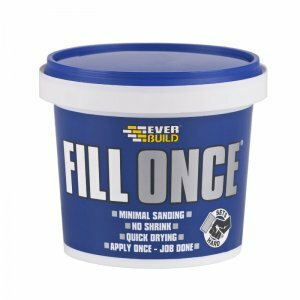 – Deep joints prior to applying sealant or plaster. – Gaps and cracks in walls and floorboards. 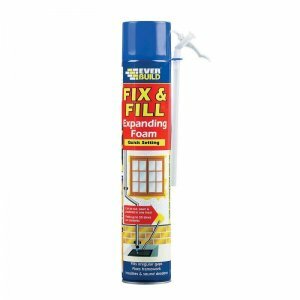 – Fills gaps & insulates. – 2 year shelf life. – Unique safety valve – rubber free valve means it will not clog or leak. 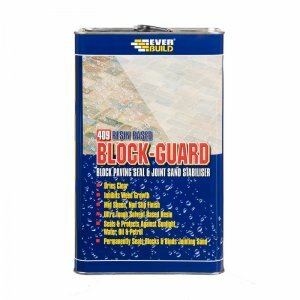 – Canister may be transported / stored in horizontal as well as vertical position.